Although many parents fear the embarrassment of disciplining their child in a public space, there’s really no need to be embarrassed. In fact, you’ll likely earn more respect from other people when they witness you address misbehavior with a consequence. From an early age, kids quickly figure out how you’ll respond when they misbehave in public. Some parents are more likely to give in to kids in a store or at someone else’s house because they want the misbehavior to stop. However, this can make behavior problems get worse. 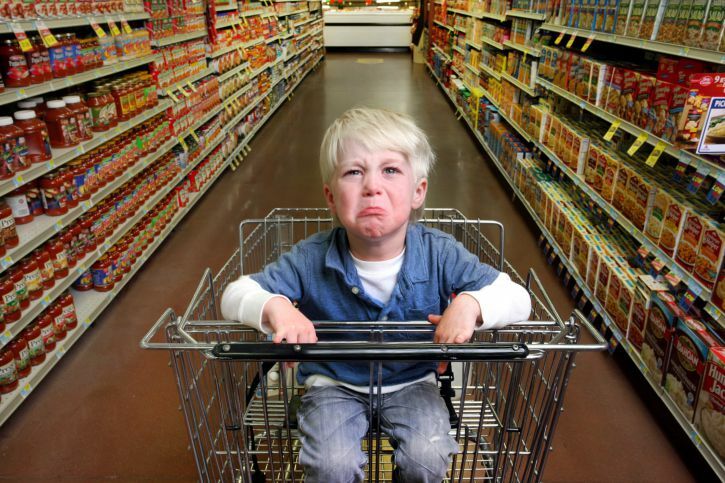 If your child thinks you won’t give him a time out while you’re in the store, he’s much more likely to misbehave. So plan ahead and be prepared to discipline your child with a timeout no matter where you are and help your child learn that his behaviors are not acceptable. Before heading out in public, discuss the rules ahead of time. Even if you’ve been there before, reviewing the rules can be a good reminder for your child. Kids need explanations about how the rules differ in various public settings. For example, a child won’t understand he can yell at the playground but needs to whisper in the library unless you tell him. If you expect your child to stay next to you, use walking feet, and an indoor voice, explain all of that before you get there. Try to stay a step ahead and look for potential timeout area before you need it. The bench at the front of a store, the waiting room at the doctor’s office, or a separate table at the library can all serve as time out areas. Depending on where you are, you may also be able to use a quiet area of a hallway or a small space on the floor. Supervise your child at all times but don’t give your child any attention during time-out. When all else fails, you can use your car as a time-out space. Just don’t leave your child in the car unattended. You can sit in the front while your child sits in the back. As long as you actively ignore during the time-out period, it can serve as an effective time out area. You can even explain to your child ahead of time where the time-out area will be. This can show your child that you’re serious about giving him a time out in public, if necessary. There should be some behaviors that result in an automatic time-out, such as ​an act of physical aggression. Other behaviors may require a warning first. For example, if your child is trying to grab things off a rack or he’s running around the store, a warning may be in order. Use either an if…then statement or the counting method described in 1-2-3 Magic to warn your child that he’ll receive a time-out if his behavior continues. If his behavior continues after your warning, follow through with the time out. Don’t make idle threats or keep repeating the warning over and over. Otherwise, your child will learn that you aren’t serious the first time you speak up. Take a proactive approach to preventing behavior problems whenever possible and you may not need to place your child in time out in public. Plan ahead and identify strategies that can reduce the likelihood that your child will misbehave. If you’re going somewhere that is likely to be boring for your child, such as a trip to the grocery store, give your child a job to do. Try handing him items that he can gently place in the cart or give him specific items to help you spot on the shelves. It can also be helpful to plan your outings according to your child’s schedule. A well-rested, well-fed child is much more likely to behave compared to a hungry over-tired child.